How can two siblings who truly love each other manage to also drive eachother so crazy? Well, if you have a sibling, then you already know the answer!Wendy and Maureen continue their sisterly shenanigans and manage to not killeach other as they continue to act... like sisters. Can you imagine what wouldhappen if they didn't love each other? 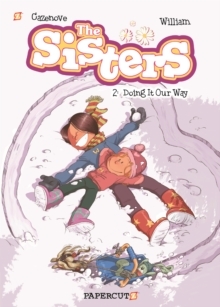 While their friends know to stay out ofthe sisters' way while they're going at it, they also know what a good time canbe had just by standing back and seeing what they'll do next! It'll surpriseyou-or worse, it will remind you of you and your sister!